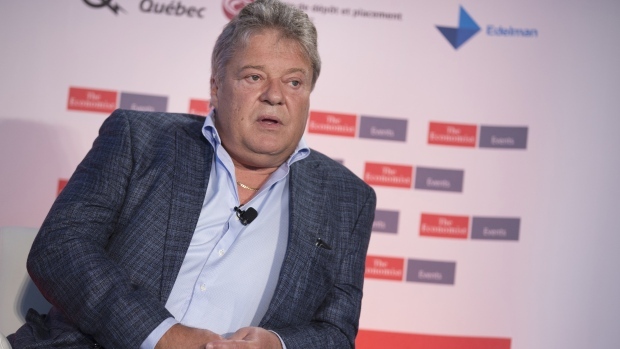 Aphria Inc. Chief Executive Officer Vic Neufeld stepped down from his role running one of Canada’s biggest pot producers on Friday, citing the toll the past five years has taken on his health and personal life. But his departure comes amid ongoing uncertainty regarding the company’s future, as a potential takeover offer looms and questions over its acquisitions in Latin America remain unanswered. Neufeld, who couldn’t be reached for comment on Friday, will remain on the company’s board and said the time was right for him to step down, noting in a conference call with analysts that the future of Aphria (APHA.TO) should be steered by a more globally-focused CEO. “The last five years, going from an idea in some greenhouses in Leamington, Ont. to a global player in a major new industry have been an incredible journey for entrepreneurs like myself and Cole. But to be brutally honest the journey has also taken a toll on health, family and personal priorities,” Neufeld said. The Leamington, Ont.-based cannabis producer added that its co-founder Cole Cacciavillani is also stepping down from his executive role as vice president of growing operations as soon as a replacement is found, but will remain on the board. The market responded positively to Neufeld and Cacciavillani’s departures on Friday, pushing Aphria shares to close up 5.4 per cent on the Toronto Stock Exchange to $9.18. Still, the executive departures come amid a turbulent time for one of Canada’s largest cannabis producers, which has seen its stock hammered in the wake of a short-seller report in December that alleged improprieties with the company’s acquisitions in Jamaica, Colombia and Argentina. Aphria has been under attack from short sellers Hindenburg Research and Quintessential Capital Management, who have accused the company of paying inflated prices for assets held by insiders. Aphria’s board appointed a special committee assisted by independent advisers in December to investigate the short sellers’ allegations and intends to fully address the Latin American acquisitions shortly, Neufeld said during the conference call. We welcome the latest executive changes at Aphria which clearly vindicate our short thesis. With a new management team the company has a chance to a brighter future and we are accordingly moving on to new projects. An unverified tweet from Quintessential Capital Management (QCM) posted shortly after Aphria announced Neufeld’s departure said that it “welcome[s] the latest executive changes at Aphria which clearly vindicate our short thesis.” However, QCM didn’t respond to BNN Bloomberg’s inquiries to verify if the hedge fund had fully withdrawn its short position on the company. Meanwhile, Columbus, Ohio-based Green Growth Brands Ltd. said in December it plans to launch a $2.8-billion takeover bid for Aphria despite being spurned from initial advances to buy the company. “There is no active offer for the company and the proposal presented was determined to significantly undervalue the company,” Neufeld said during the call. Neufeld and Cacciavillani will remain with Aphria as special advisors to the chairman and president to ensure “a smooth transition of institutional experience and strategic advice” until the new CEO is appointed. Irwin Simon, the company’s newly-appointed chairman, also spoke during the conference call, noting that he sees many similarities between the cannabis industry and the natural organic sector that he first worked in nearly three decades ago. “I spent the last two days in Leamington at Aphria. I was blown away by the facilities, what has been built there – and I have traveled all around the world, have seen a lot of operations into personal care and other businesses. And I’ve got to tell you, I've never seen an operation that has been built [like] Aphria,” Simon said. Aphria reported $21.7 million in revenue in its fiscal second quarter that ended Nov. 30, up 63 per cent from the same period a year ago, but short of the $28.8 million that analysts had expected. It posted a net adjusted loss of $9.5 million compared to a gain of $1.5 million in the same quarter a year ago. The company’s gross margin decline to 47 per cent of net revenue from 64 per cent was attributed to lower selling prices in the Canadian recreational cannabis market, lower grow yields and higher production costs. Are you surprised Vic Neufeld is stepping down as Aphria’s CEO?